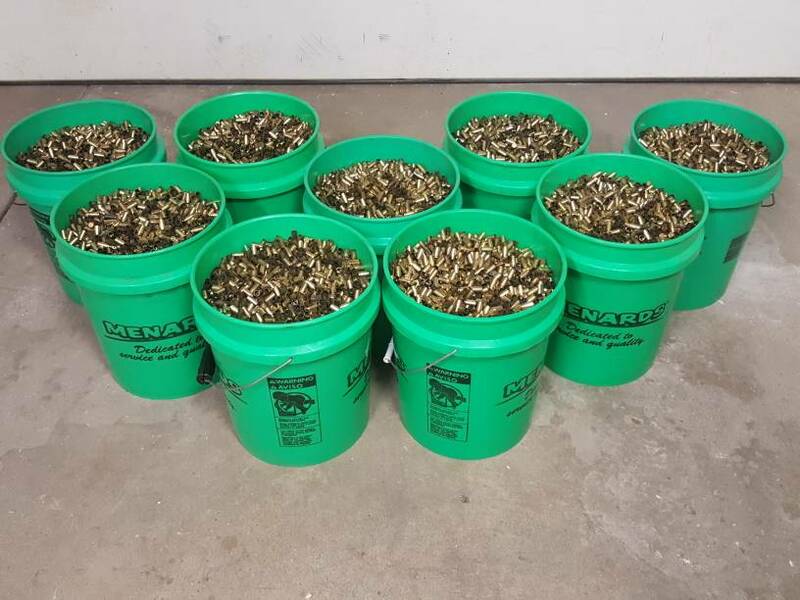 What 70,000 9mm Cases Looks Like... - A+ Brass - Brian Enos's Forums... Maku mozo! This is the batch I am getting ready to start washing. This batch will start as 70,000 cases. After the 380, nickel plate, and other undesirables are removed I hope it will net 55,000 good 9mm cases. Got mine today,, great brass just like he said. so how many "good" cases did you estimate you ended up with? Looks like you got your work cut out for you. Will watch for your results. Do you ever have 38 super in quantity? Just over 55k when it was all sorted. I see maybe 50 pieces a year of 38 super. Nothing in quantity unfortunately. How do you sort through all that? Up to this point it has been a mechanical sorting process to remove the 380 and then a visual process to remove the undesired headstamps. I have a new machine that I will be working to get on line next week that is going to replace the visual sort. 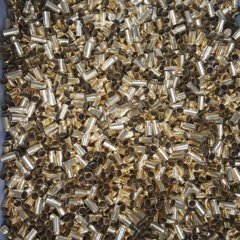 What is the source for the 9mm brass? Indoor range? Military range? Outdoor Range? Govt Auction? I've been looking at where I'll make my next order. I need to feed my new open gun and was looking for something like this that is pre sorted. Sounds like a great deal! Hoping I'll be able to order next month sometime. Looking forward to placing an order!